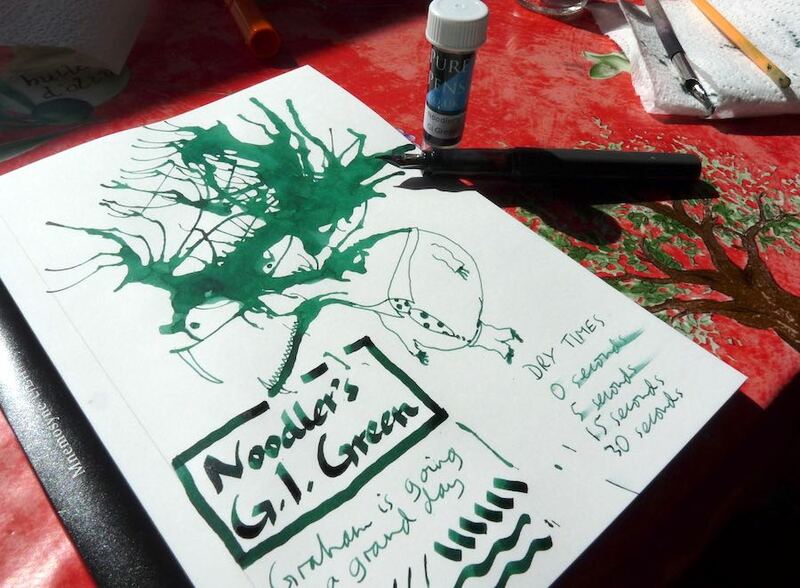 Noodler’s G.I. 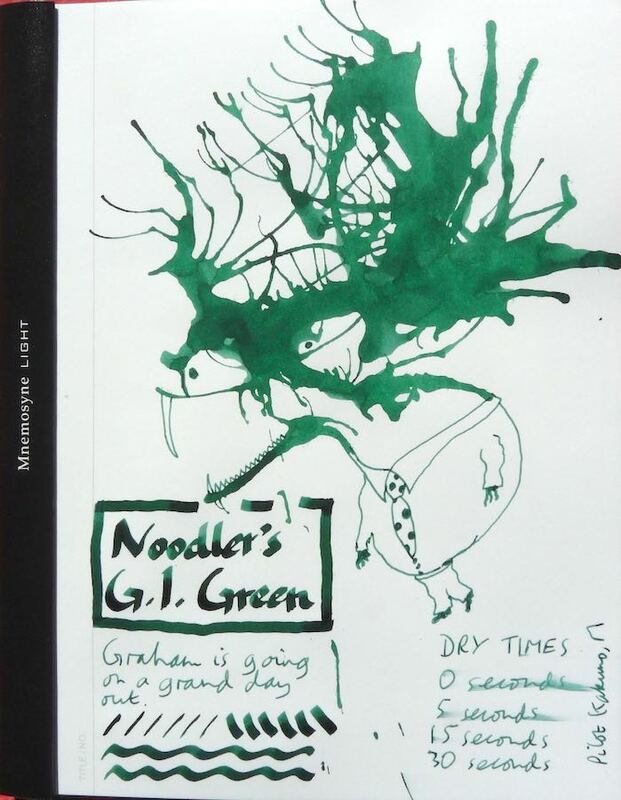 Green Ink Review – Pens! Paper! Pencils! These are all replica vintage inks that exhibit classic period ink behaviours with mild (when compared to our modern bulletproof and eternal inks) water resistance upon the page (particularly after the passage of time, a week or so or more upon the page will increase the ability to resist water). This particular ink is definitely reminiscent of World War 2 army green, has some nice shading and is quick to dry. There’s no video because I can’t find my tripod! Love the sketch. Very Terry Gilliam. Most very kind of you.